You'll be amazed at how very easy it is for any gentleman to get dressed like this. 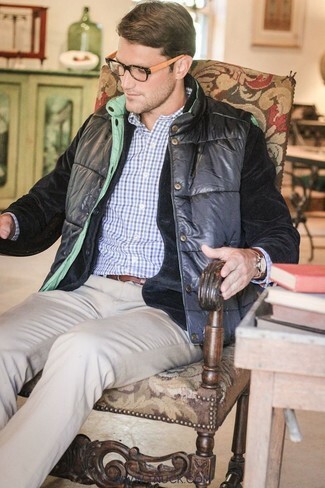 Just an Alexander McQueen Velvet Evening Jacket Black from Bergdorf Goodman paired with beige chinos. As you can see here, looking effortlessly smart doesn't take that much time. 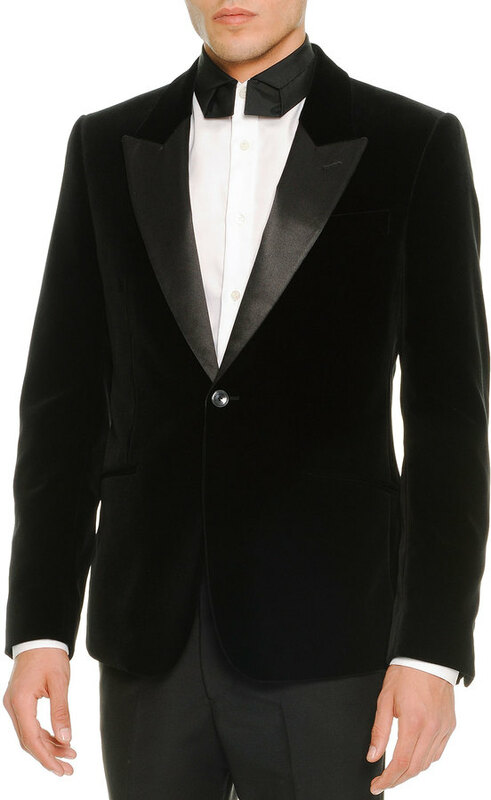 Just team an Alexander McQueen Velvet Evening Jacket Black from Bergdorf Goodman with black jeans and you'll look awesome. Add a pair of black leather derby shoes to the mix to immediately dial up the classy factor of any ensemble. You're looking at the definitive proof that an Alexander McQueen Velvet Evening Jacket Black and black velvet dress pants are awesome when paired together in a refined getup for a modern man. If you don't know how to finish off, a pair of black velvet tassel loafers is a nice option. To look like a sharp gentleman at all times, try pairing a black velvet blazer with navy dress pants. 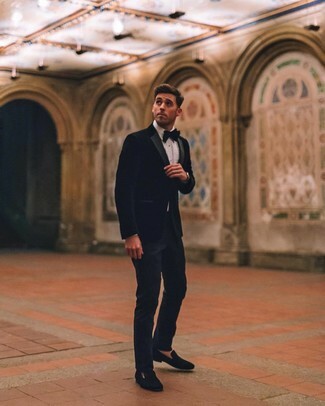 A pair of black velvet loafers will tie your full outfit together. This pairing of an Alexander McQueen Velvet Evening Jacket Black and grey wool dress pants is a winning option when you need to look like a perfect gent. An Alexander McQueen black velvet blazer and black chinos are an easy way to infuse an air of rugged sophistication into your casual styling collection. Our favorite of a countless number of ways to round off this outfit is with black leather chelsea boots.